GutenMag is a Gutenberg WordPress Theme for Magazine and Blog site. 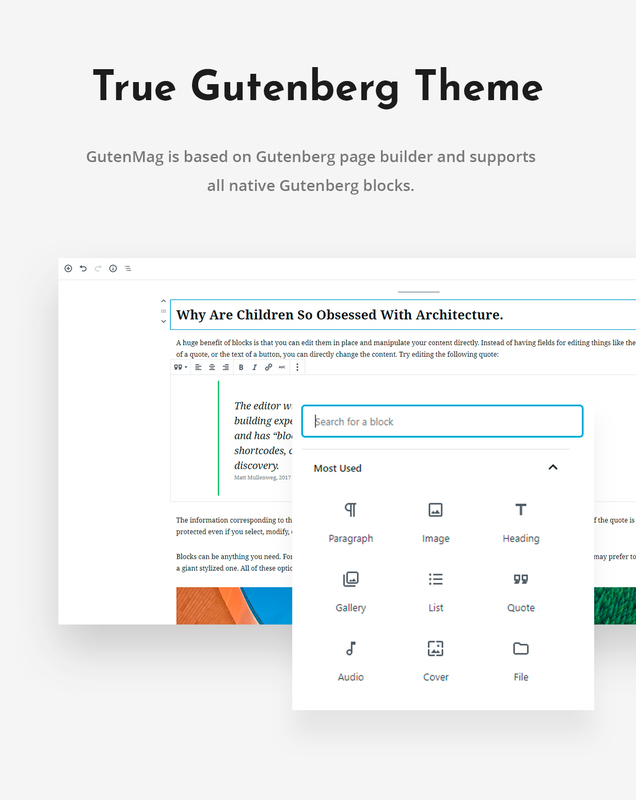 GutenMag is based on Gutenberg page builder and supported all native Gutenberg blocks. Perfect for blogging and excellent for a news newspaper, magazine publishing or review sites. It supports videos from YouTube, Soundcloud, embedded audio from Spotify, photo feeds from Instagram. 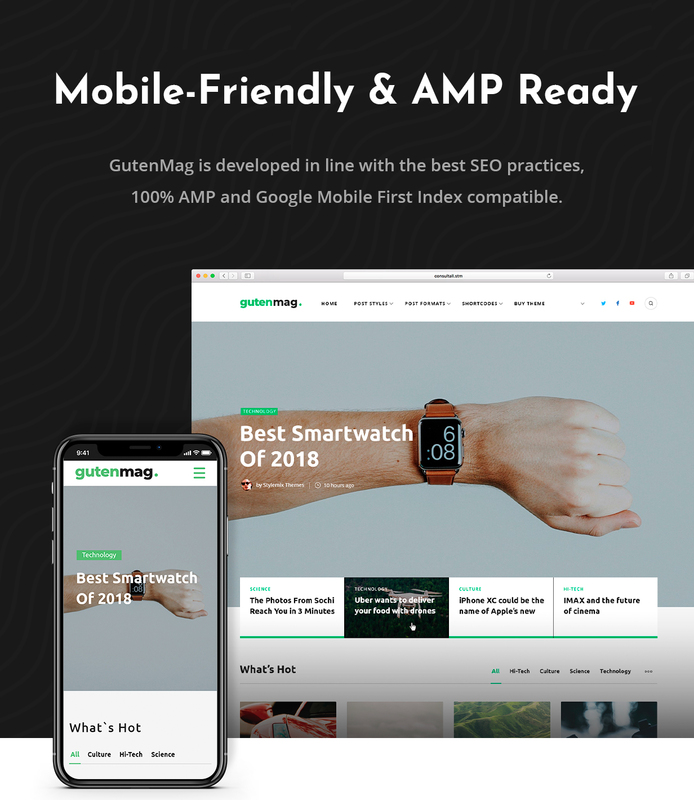 GutenMag is 100% AMP and mobile ready. GDPR compliance plugin comes in the bundle. The theme is ultra fast, simple. 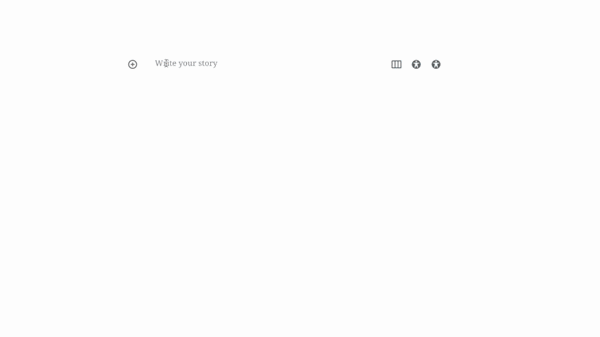 Also You can manage your banner ads via AdRotate WordPress plugin, which comes in the bundle as well. Header Builder – Allows you to move the elements of header and compose your own header. 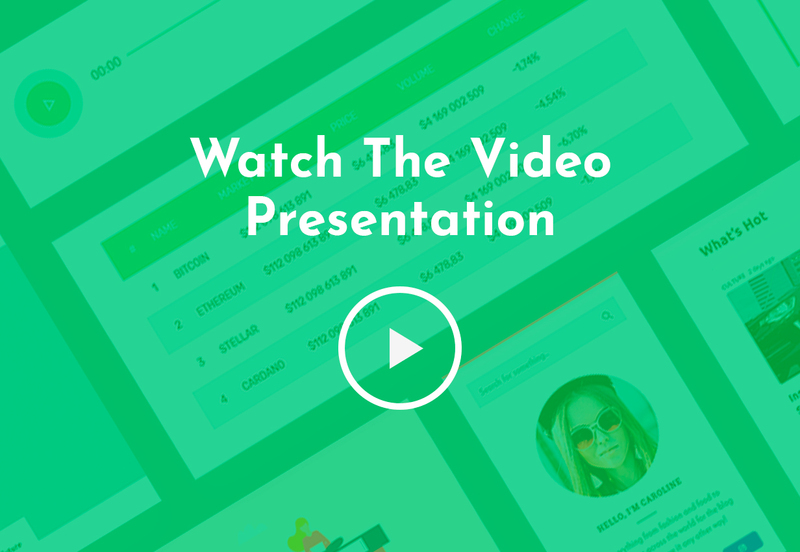 Premade Post Templates – Ready to use post layouts to choose from. Multilingual Support – Very Easy translate a website to any language. Responsive and Mobile Friendly – GutenMag is 100% responsive and looks great on all devices.